SuperFogeys - FAN ART: Captain Spectacular by Brian Astle! 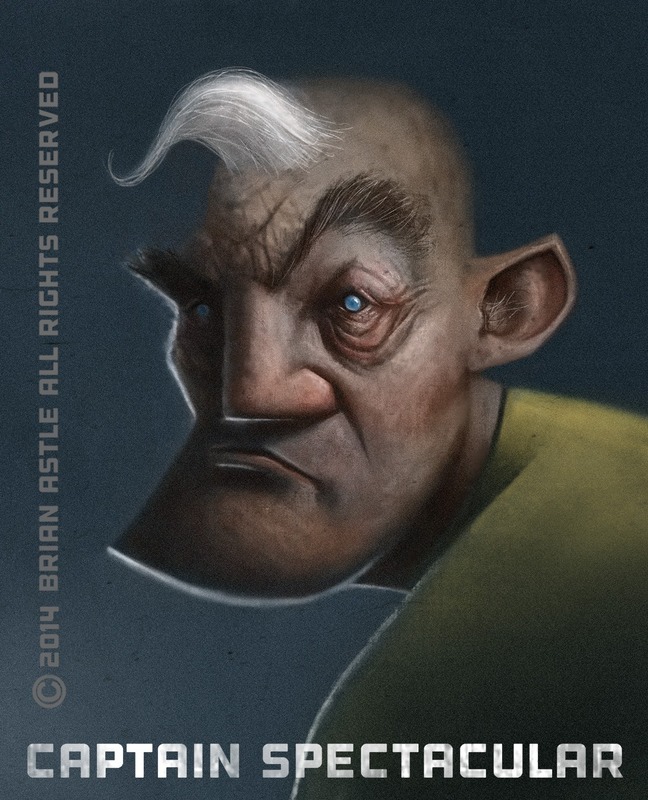 FAN ART: Captain Spectacular by Brian Astle! Holy, holy, holy crud! How can you not be blown away by that? Brian Astle is (in my opinion and that of a few other reputable organizations) one of the top illustrators working today. He’s young and destined for great thing. He’s also my Cousin-in-Law, which is how his work first came to my attention. “THIS MORNING”–probably while you were eating your Fruit Loops. Brian threatens to draw even more SF characters. Please take the time to pressure him to make good on his threat in the comments below. SuperFogeys - FAN ART: Dr. Rocket by Brian Astle!